The other Friday this mama got a night out for my friend’s birthday which involved an afternoon tea and cocktails. Originally we were meant to be going to Thorpe Park as we are both massive fans of Derren Brown, and we are really excited about his new ride Ghost Train. However the opening has been delayed so we decided to wait until it was actually open to go. I was looking at other things we could do and came up with the idea of going for afternoon tea. Very different to a day of rollercoasters but we still had fun. After doing some searching online I found an afternoon tea with a bit of a twist. 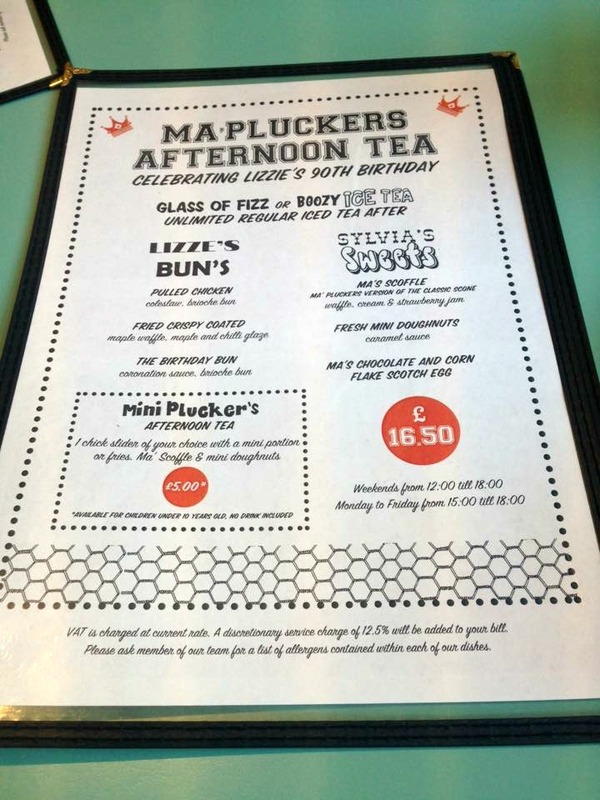 Ma Plucker in Soho are currently offering an afternoon tea in celebration of the Queens 90th birthday and I can thoroughly recommend it. I’ve never been for an afternoon tea before but this one was certainly my idea of an afternoon tea. 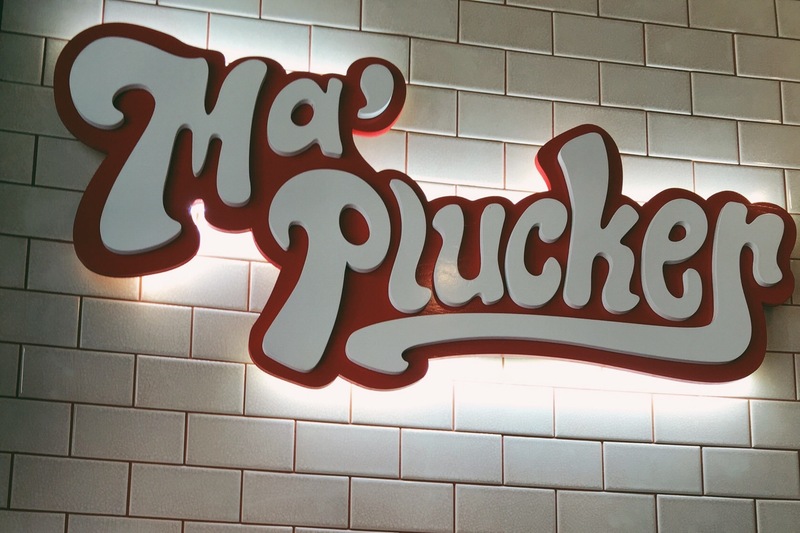 I’d never been to Ma Plucker before or even heard of it, but I will definitely be back. It’s on Beak Street in Soho, and it’s a great little place for lunch or dinner. 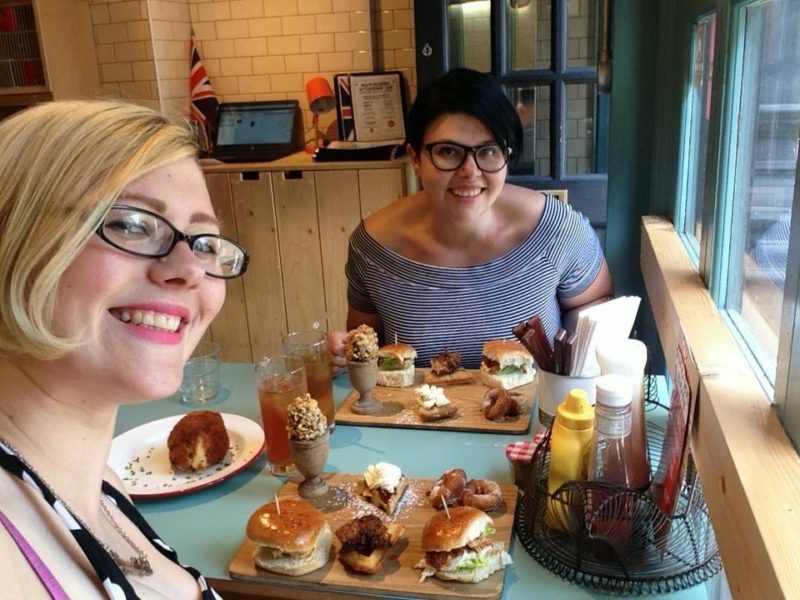 The food was amazing, and the staff were even nicer! 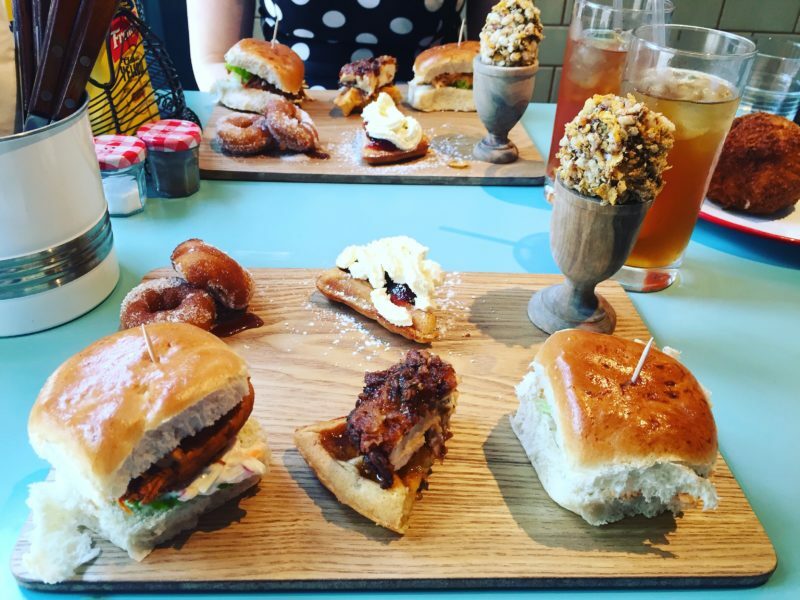 We had two brioche buns, one filled with a coronation chicken which was good, another filled with pulled chicken and coleslaw which was super yummy and then my favourite a piece of fried chicken on a maple waffle with a maple and chilli glaze! It was so good, seriously I could have eaten this all day. The desserts were two mini doughnuts, another waffle with jam and cream on, a bit like a scone but a scoffle. Then a scotch egg which was a chocolate egg covered in cornflakes which I couldn’t actually finish and I love chocolate! We had an extremely boozy ice tea, and we also ended up getting a side purely because of the name – crack n cheeze which was a giant ball of mac n cheese deep-fried in panko breadcrumbs. 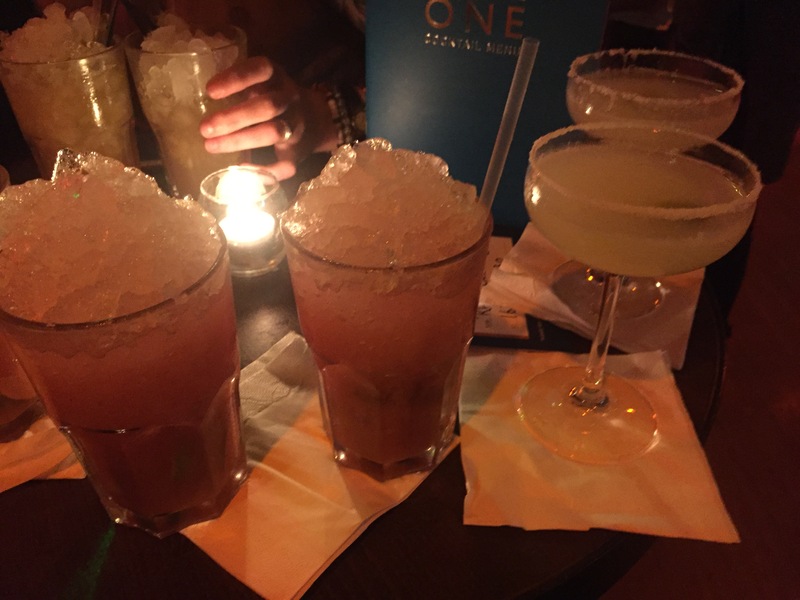 We finished off with some frozen margaritas which again were super boozy, not ideal for this mama who doesn’t drink that often! After we had eaten all the chicken we headed off to Be at One for cocktails and to meet more people. I’ve only ever been to Be at One when I was pregnant so to finally get the chance to actually drink was nice. They have a huge range of cocktails, seriously I don’t know anywhere else that does that many! I usually go for sweet/fruity/vodka based drinks. They have something for everyone, and have a happy hour every day from 4:30pm until 7/8pm depending on the day. After far too many cocktails my friend Rhia whose birthday it was dragged us all (it didn’t take a lot of persuading) back to Ma Plucker for dinner! I then had a chicken and halloumi burger and some fries which was just as good. It will definitely be somewhere I go to if I’m ever in the Soho area again. It really was yummy and not that expensive considering its central London.